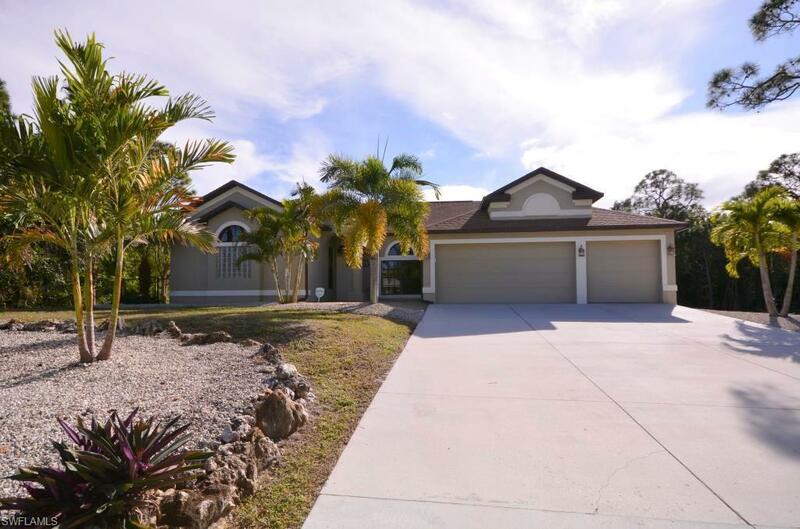 Beautiful 4 bedroom 3 bathroom pool home built in 2005, located on a half acre in St. James City. 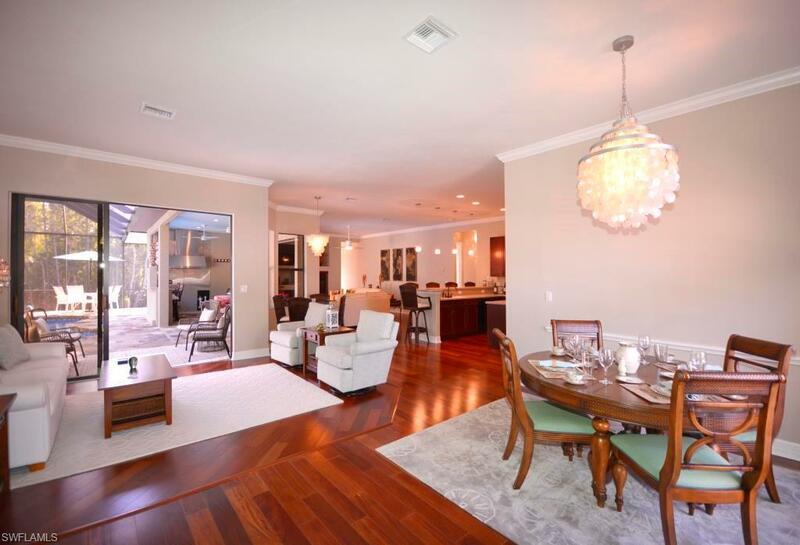 With over 2500 square feet of living space, and an open floor plan, this home is perfect for a large family and entertaining. The large kitchen features a center island, breakfast bar with seating, pantry, and corian countertops. Two dining areas. The laundry room with sink is conveniently located off the kitchen. 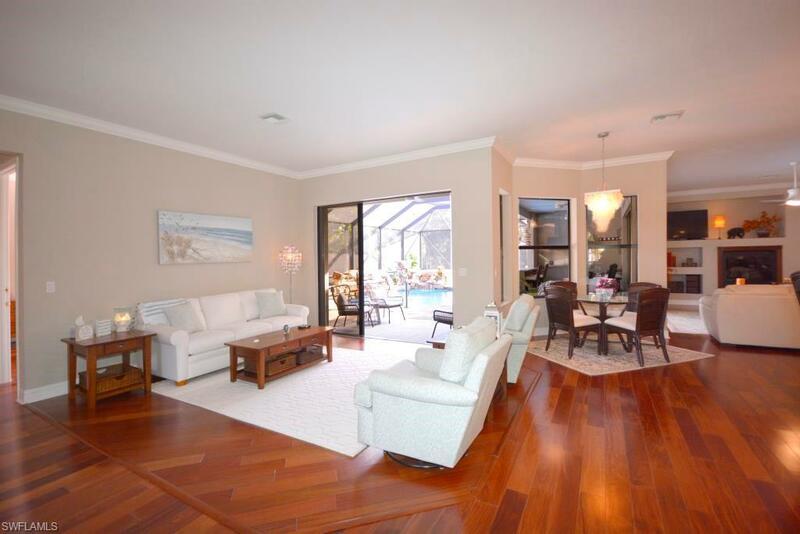 Lovely wood floors throughout the home. There is also a den with French doors that would make a great home office. 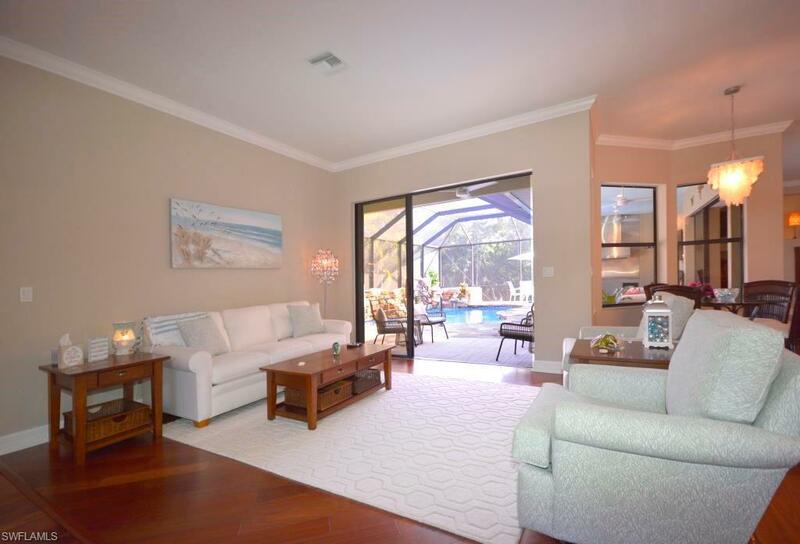 Both the family room and living room have pocket sliding glass doors opening out to the two covered seating areas by the amazing screened in pool, bringing the inside out. Flagstone pool deck, outdoor kitchen area with bar, rock waterfall, hot tub, and pool bath. There is an additional screened in patio around the corner from the pool plus a wooden pergola with lighting in the large private backyard offering even more space for relaxing or entertaining. Flagstone entryway. Three car garage. Additional driveway along the west side of the house, perfect for parking an RV or boats. Schedule your appointment today to see this wonderful property! Listing courtesy of Beth Sweet of Pine Island Realty Inc.